mrinverted232 had the most liked content! Aviation and all things mechanical. we have in the family several classics, Austin Healey 1954 BN1, 1934 MGPP racing special, Several Bristols and 2 full size Steam Engines. 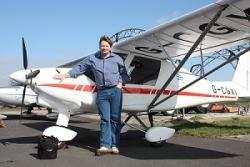 As a qualified pilot I also own an aircraft which I fly as often as possible. I would love to, but I have toooo much food to prep. Maybe you could sell yours to Magh , he is after one. I will offer it as a raffle prize at the event at mine, seems a good idea and give the money to charity. Damm, would have liked to go to this but , F1 Belgium Grand Prix weekend and I am at Spa. Mobile Sparky Required Help ! Wiring . Ok Ok I can take a hint, let me see what I can do. OH.... and thanks for the reply, a lot quicker than the Auto Electricians I called LOL. No sausages for you at the BBQ!